Business in the Cambridge area want to find out more about Office 365 and SharePoint then contact Anglian Internet who are Microsoft Certified Silver Cloud Partners.Office 365 is a collaboration of many systems to provide an integrated solution including Hosted Exchange, Microsoft Office, Microsoft SharePoint, Microsoft Azure, and Microsoft Lync. The comprehensive platform can cater to many needs including Online Email, Calendar and Contacts with the ability to synchronise across multiple devices and share between users on the platform. With office 365 you will always have access to the latest versions of your software, removing the worry of expensive future upgrades. 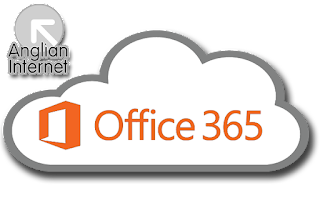 As Anglian Internet are Microsoft Office 365 Administrators, we can offer a start-to-finish service, dealing with all the backend stuff so you can get on with your business in Cambridge.